Fire engulfed parts of the historic Palm Springs Racquet Club on Wednesday, reports the Desert Sun. 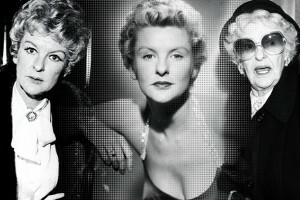 Opened by Charlie Farrell and Ralph Bellamy in 1934, the Racquet Club was known as a Hollywood hangout frequented by many stars including a young Marilyn Monroe, who met agent Johnny Hyde there at a New Year’s Eve party in 1949. But the former hotspot has been empty for some time, although current owner Judy Dlugacz revealed plans to create a new LGBT housing project back in 2013. At the time of the fire, there was a ‘For Sale’ sign at the site. “Countercultural hippies. Rock ’n’ roll. 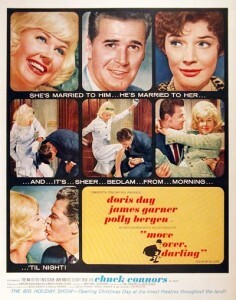 Hollywood’s Golden Age. Over the years, the Sunset Strip has evolved. 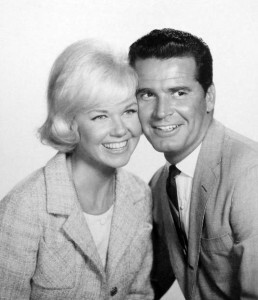 One era saw Marilyn Monroe falling for Joe DiMaggio, another Jim Morrison dangling over the boulevard out of a tenth-story window. 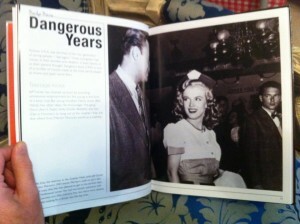 Hardly a year goes by without a new pictorial biography of Marilyn hitting bookstores. This latest, budget-priced tome has just been released on Amazon.com, and will probably soon be made available elsewhere. 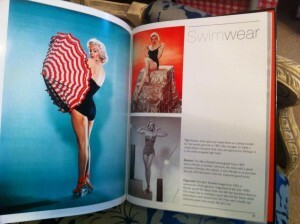 It’s 80pp in total, and its dimensions are 10.7 x 8.8 x 0.6 inches. ISBN is 1472351355. 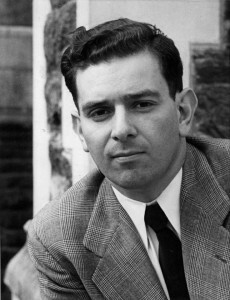 The respected journalist and editor, Robert Stein, has died aged 90, reports the New York Times. 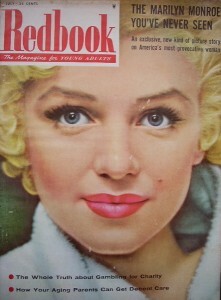 As editor-in-chief of Redbook during the 1950s, Stein oversaw several profiles of MM, including ‘The Marilyn Monroe You’ve Never Seen‘, a 1955 cover story in which, shortly after Marilyn’s self-imposed exile from Hollywood, New York photographer Ed Feingersh chronicled a week in her life. 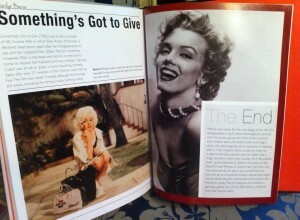 “In his introduction to the 1990 book, Marilyn 55, Bob LaBrasca stated that it was Milton Greene who arranged for a cover spread in Redbook. 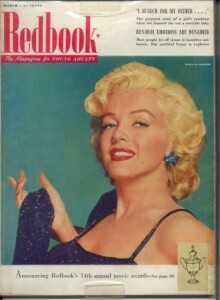 But Robert Stein, magazine editor at the time, has claimed that it was another of Marilyn’s photographers, Sam Shaw, who arranged the initial contact, and one of Shaw’s portraits of Marilyn graces the resulting July 1955 cover story, ‘The Marilyn Monroe You’ve Never Seen’. However, neither Shaw nor Greene worked on the story directly. Over a hectic week, photojournalist Ed Feingersh followed Marilyn, along with Stein, and Marilyn’s small coterie of business associates. 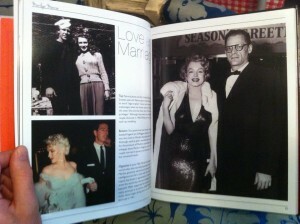 Whether shopping, dining, or dressing up, Marilyn’s daily life was captured on film. 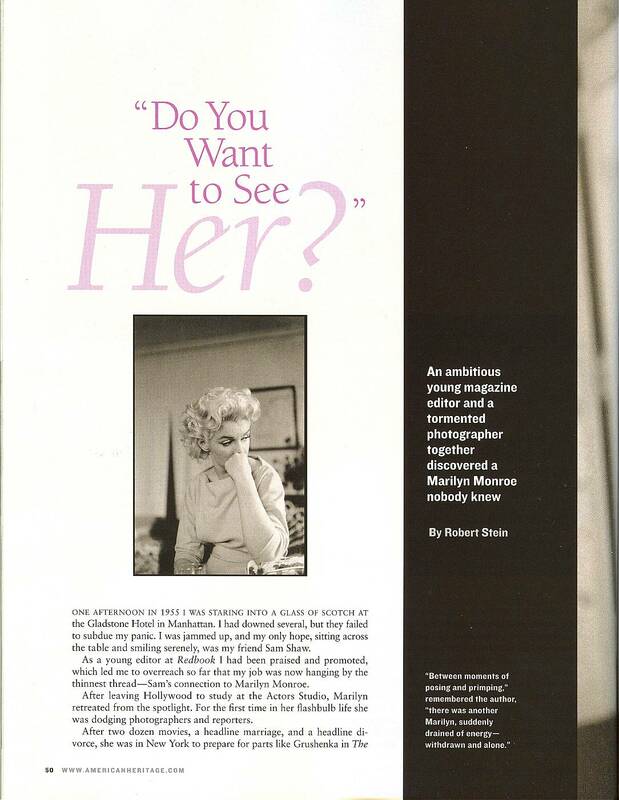 In a 2005 article for American Heritage, ‘Do You Want to See Her?’, Stein recalled that ‘the two Marilyns kept fading in and out’: in other words, the star charisma she could switch on at will, and the nervous, sensitive woman that lay just behind that mask. Stein’s own thoughts on Feingersh and Marilyn, published in 2005, can be read in full on the American Heritage magazine’s website. 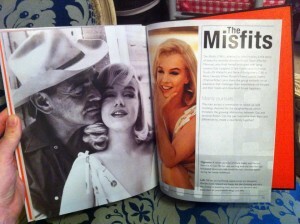 Five years after Marilyn’s death, the story I wanted as a magazine editor was Joe’s. He had arranged her funeral, kept it private and was still sending flowers to her grave three times a week but had not said a word about her. He invited me to his New York suite at cocktail time and poured a drink. There were half a dozen men there, and it became clear he wanted me to sit at the edge of his circle, listening to locker—room banter, while he eyed me once in a while, freshened my drink and made up his mind about talking to me. When I arrived, he was packing his bags. 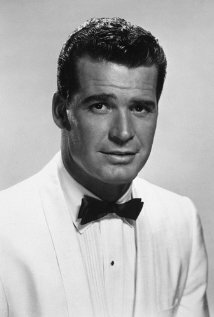 I talked as he kept putting shirts, socks and underwear into a suitcase. He never looked up. I told him I didn’t want to intrude, but it was my job to ask if he would ever say anything about Marilyn. If he did, he could trust me to make sure it came out right. He was still staring into the suitcase, but I could see his eyes clouding. His jaw muscles tightened. For a long minute, he was silent. 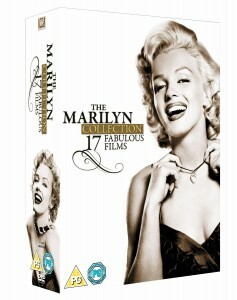 This boxset, containing no less than 17 of Marilyn’s finest films, is currently available on Amazon UK for the bargain price of just £18 as a deal of the week. Postage is free, so if you don’t own these already, it’s a golden opportunity. You may have thought Seward Johnson’s ‘Forever Marilyn’ statue was the largest of its kind, but a Chinese real estate company went one better with a very similar, but even bigger likeness, unveiled at a shopping mall in Guigang in December 2013. Like its predecessor, the sculpture attracted a great deal of controversy. 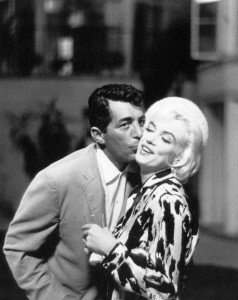 But unlike Seward Johnson’s more fortunate creation, the Chinese Marilyn was removed and scrapped within six months – and a photo of the forlorn MM, abandoned in a rubbish dump, was circulated across the globe. An article published today at ECNS explores the curious story behind this ill-fated work of art. “The original artwork by American artist Seward Johnson swept over the US with her charming smile and natural body language. But the imitation in China has received limited attention. Monroe was 30 in The Seven Year Itch [actually, she was 28] and Johnson reflected her true face on the ‘Forever Marilyn’ statue, while the Chinese one has a younger face, according to the designers at South China Normal University in Guangzhou. ‘I feel so sad it was demolished,’ said Sheng. From design to construction, the 4-ton statue took two years and cost more than 5 million yuan ($805,529). 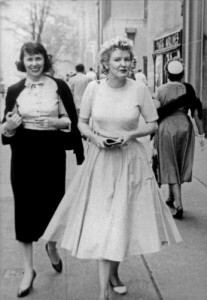 Monroe’s body parts were finished in Guangzhou, neighboring Guangdong Province, and transported to Guigang. …Wu did not expect that the most common discussion topic would focus on whether Monroe had ‘exposed too much of her body’ in that depiction. Four months after the erection of the statue, Monroe was circled with fences around 90 centimeters high. 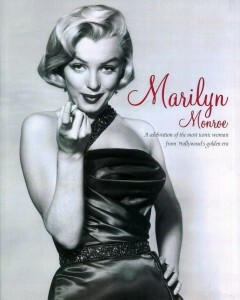 ‘We had to do that as many children would worm their way down to the skirts of Monroe,’ said Wu. ‘But I like her,’ she said. Monroe’s statue represents what she has been looking forward to: a different and international life. 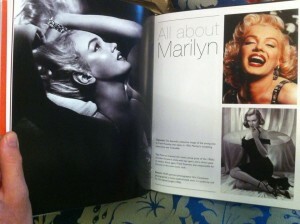 In addition to the current Richard Avedon: People exhibit at the Art Gallery of Western Australia in Perth, Marilyn also features in a smaller display at Linton and Kay Galleries, focusing on her work with Los Angeles-based photographers such as George Barris and Andre de Dienes, reports the West Australian. 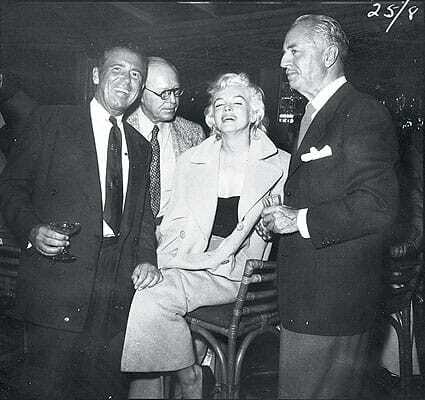 As with other famous tragedies, many people remember where they were when Marilyn died. This excerpt from John Wilcock: The New York Years (an ongoing comic book biography of underground publisher John Wilcock, by Ethan Persoff and Scott Marshall), recreates the moment Wilcock heard the news in a Paris bookstore. You can read the extract in full at Boing Boing.net.